Everyone who comes to practice with us is a member of the Indigo Sangha. 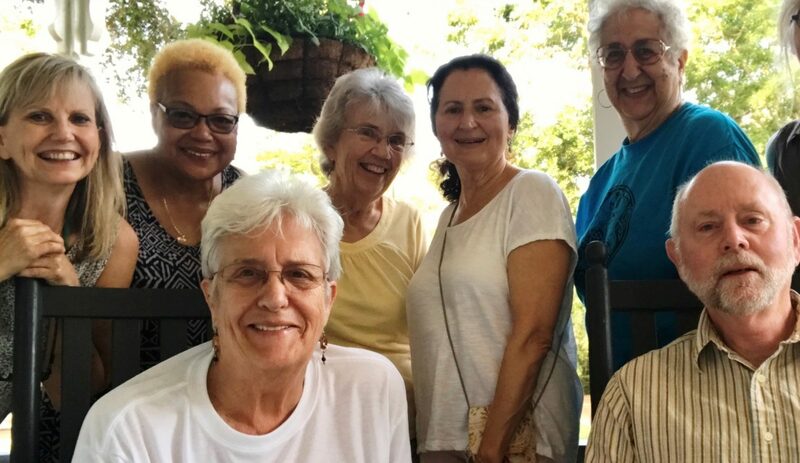 Our group includes beginners and seasoned practitioners, people of many races and backgrounds, genders and sexual orientations, young and old who enjoy being together without need for a political party or position. We want everyone who wishes to attend to join us. We especially encourage People of Color, LGBTQ+, young practitioners (ages 18-35) and other diversities to attend. Indigo Sangha is part of the global maha-sangha of the Plum Village Community of Engaged Buddhism established by Zen Master Thich Nhat Hanh. Click here to learn more. 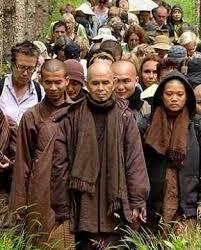 The term “sangha” refers to both a community of spiritual friends and a practice of awakening together. The essence of a sangha is awareness, understanding, acceptance, harmony and love. In the global Plum Village tradition, there are more than 1,000 sanghas studying and practicing mindfulness in order to maintain a stable, present moment awareness and to see more clearly how best to respond, moment-to-moment.